Brass pipe heater is widely used for hot runner system, injection machine nozzle, die cast nozzle and other precision heating system. The heating coil is embedded in a brass tube. As we know, brass has high heat conduction. 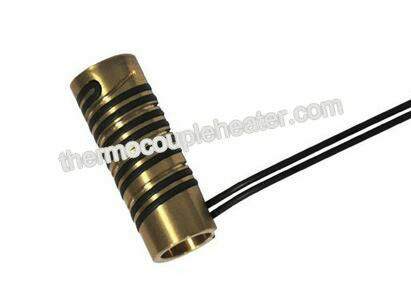 Brass pipe heater heats faster and more evenly. 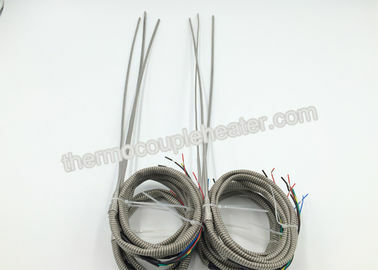 Resistance wires of heating coil are made of Ni80Cr20. Insulation is high-purity magnesium oxide and sheathed in stainless steel tube. The size of heater can be customized with various cross-sections of heating coil. 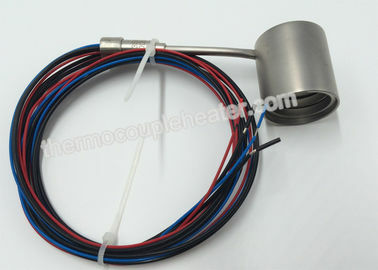 The heater with built-in thermocouple is available. Unique design to ensure temperature control accuracy,even heating,heat insulating,low power consumption and long life time. 1.Wattage & voltage:Per customers' requirement. 2.Application: Hot Runner System,Plastic Injection Machine,Plastic Extruding Machine,etc.